Sewing is great, isn’t it? 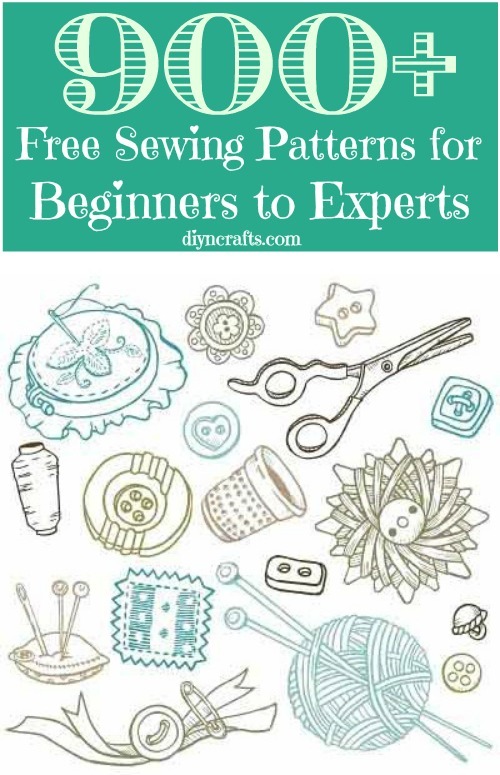 Even if you are not considered an expert sewer, there is just something about finding great free patterns and boy, do we know where you can get a lot of them. More than 900 in fact (Click to visit the free pattern directory). These patterns contain everything that you could possibly ever want to sew. Want to learn how to make your own bibs, onesies or other baby clothes? How about making your own socks? If you love to sew then you just have to try out some of these free patterns. There are dresses, suits and even veils so if you are planning a wedding and want to do it all yourself, you can even make your wedding outfit. There are patterns for every sewing level as well. Beginners will love the ease of some of these and practicing will help you to move on up to the more expert levels. Whether you are an avid sewing enthusiast or you just like to tinker with your sewing machine from time to time, you are sure to find a pattern that you just have to make. Summer is a great time to begin your new sewing adventures. There is a category for Halloween costumes so if you get started now, even if you are completely new to the sewing world, you can make yourself or your kids a great costume for Halloween and save a fortune on what you would spend in stores. In fact, making your own clothes is a great way to cut costs so try out some of the patterns and see what you can make. If you missed the first link here you can browse the free patterns directory In case you’ve missed the previous link – 900+ free sewing patterns. Just looking for some new ideas for making clothes,especially maxi dresses. I’m so excited and grateful that this site exists. Hi! I sell patterns online for people who like doing DIY stuffs. You download the pattern and after that you can print it how many times you want at the material of your choice (most common are paperies and textiles) and then DIY your project. I would love to introduce you to my website. Please send me an e-mail, because I don’t want to make spans! am interested, please note that i am totally new at sewing and a senior male. Most of us own dozens of different dress sewing patterns, and we paid a pretty penny for some of them. Now that the holidays are here, we have to be a little more careful about our budget. Helloooo, free dress sewing patterns! My spouse and i have been happy when Louis could conclude his analysis from the ideas he made using your blog. It is now and again perplexing just to be giving out instructions which often people today have been selling. We really discover we need the blog owner to thank for this. The illustrations you’ve made, the simple blog menu, the friendships you will make it easier to promote – it’s got most excellent, and it’s letting our son in addition to the family reason why that idea is entertaining, which is certainly truly indispensable. Thank you for everything!